Unfortunately on pulling up the carpet in our office downstairs we discovered water. I started by knocking on the door of a neighbour down the street who is a builder and asked for his advice. We assumed it was a problem with our windows again. Some of you will remember we had 3 windows on the north side of our house removed and replaced back in 2005. Anyway I went online and started by calling a water removal company and then a plumbing company. 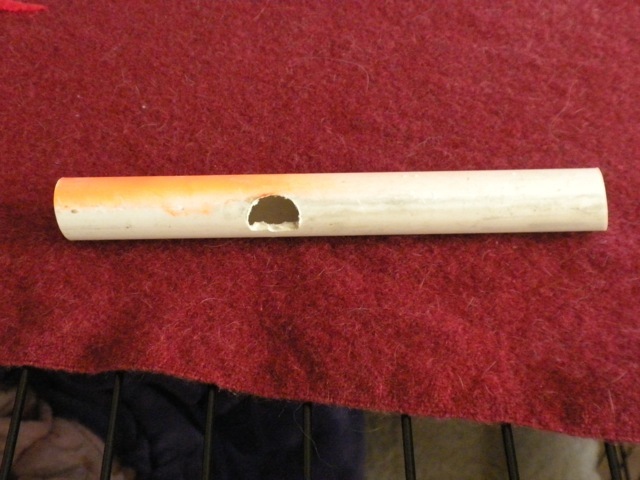 Upon opening the wall in the office we discovered a large hole in the pvc piping of the condensation outlet for the airconditioning unit. 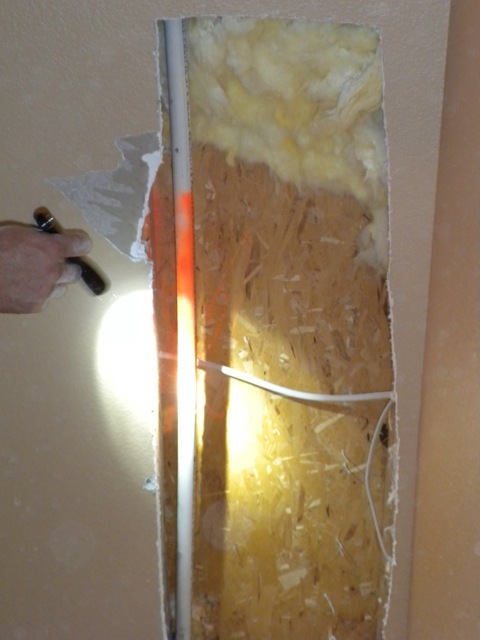 It was a hole made when the house was built and had been spraypainted orange saying “fix me”, but not fixed. Basically we have had water dripping through the wall for the 11 years since the house was built and everyone is astounded we don’t have more damage. Due to it being in an external wall a lot of the water went out. 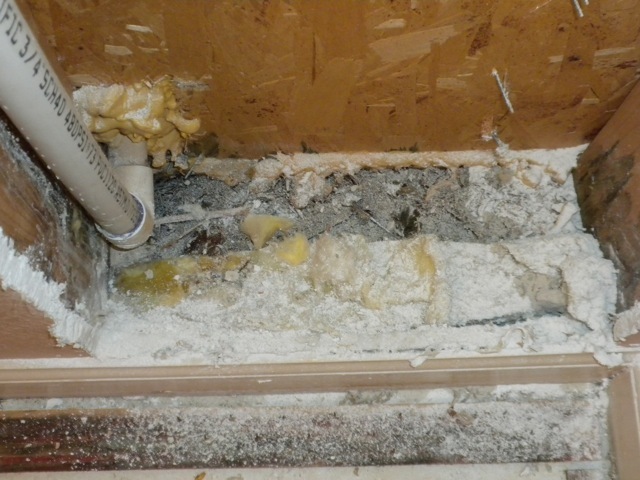 The wall insulation is very wet and there is a thick layer of mold on the 2×4 at the bottom of the wall. 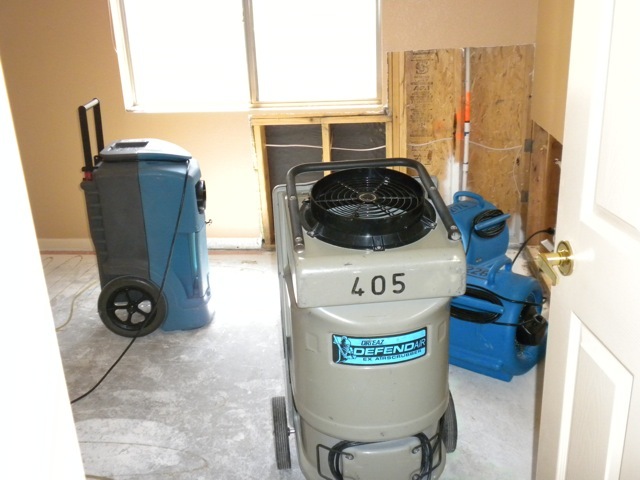 Unfortunately we now have a category 3 mold clean up as it is a long-term damage and they are going to be opening up 2 walls in the office and 2 in the family room 2 ft high 1 ft along at a time until there is no sign. We have had a dehumidifier going in the office all night. 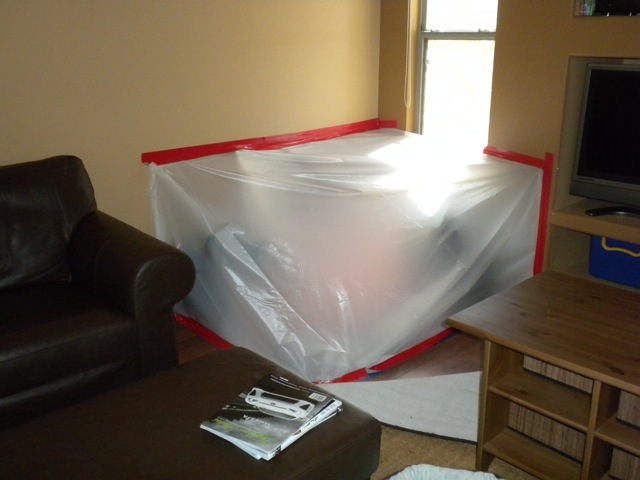 This morning they come and open up and set up contamination zones to dry everything out in the office and family room. Once dried out then everything will be tested and fixed ie dry walls replaced, repainted and carpet put in. We also now have to check the furniture taken out for damage as it has sat on damp floors for almost 8 years. The good news was that the carpet installers stayed till 7.30pm and got the carpet installed throughout the rest of the house so I only had to deal with the mold specialists on the Wednesday morning. A big thank you to my many supportive friends that Tuesday especially but during the whole saga. When the movers come in to return the furniture back to the house we had to leave everything from the office in the garage so we had a slight state of chaos for just under 3 weeks. I have to say that everything was back to normal in time for our vacation so from start to finish it was just over 3 weeks which I have to say was impressive. The movers came back to help put everything back in the office and all costs (minus deductible) were covered by insurance. You are currently browsing the John and Sigrid's blog blog archives for October, 2010.